Just to say thank you from me and Asher for help in the time of need. I really don’t know what we would of done without the help from yourself. It’s a big thank you from both of us. We still got a long way to go but will keep you updated when settled. The BBS also helped repatriate a Brit who was unable to renew her green card and, thus, unable to work legally in the US. She decided to return to the UK where she would be able to support herself and regain her independence. We wish her all the best. Catholic Charities Services in Reno, Nevada contacted the BBS requesting assistance and advice for a Brit who needed to renew his passport. Last year, you may remember that this organization was very helpful in relocating Gladys as she moved from the Bay Area to Reno. The current applicant is in his mid-70’s and is living in a pay by the week motel. He is considering returning to the UK, and the BBS has since paid to renew his passport. I’ve started a new job. Thanks to you and the British Benevolent Society I was able to keep up with rent payments and my sons have continued to enjoy spending time in my home. I was terrified of losing everything, being cast back into homelessness and to be stripped of a shared home life with my little boys. Your fast and compassionate response spared me from total heartbreak. The British Benevolent Society’s work must have made an important difference to many lives over the years. And its not just the financial help, its also the knowledge that in moments of despair there are genuinely caring people who can be found. Thank you. We are very honored to share with you that we received another sizable donation – this time from the trust of former member Mary Hart. A sincere thank you to Mary Hart and family for their enduring support, commitment and belief in the BBS mission. We are extremely grateful for any donations we receive. Again, it is so special and touching when members and friends of the BBS keep us in their thoughts as they reach their end of life. Thank you to anyone who is considering to add the BBS as a beneficiary to your will or trust. Donations of this kind not only honor the legacy of a member of the British Benevolent Society but also directly impact our ability to continue to provide assistance to those most in need and on the fringe. Join members of the BBS Board of Directors for a casual meet up on Tuesday, 19 February, for the 7 PM showing of Swimming with Men , at The Vogue Theater in San Francisco. Tickets to the movie are $12.50 and can be purchased directly from the box office or on the Mostly British Film Festival site. We are planning to gather for no-host drinks prior to the show at 6 PM at Laureate in The Laurel Inn. Please note that tickets need to be purchased by individuals and not through the BBS. If you have any questions please contact Jenn Baker. 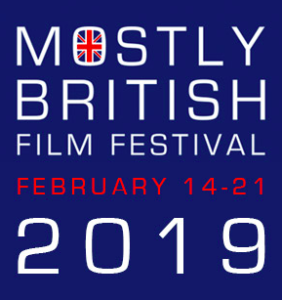 Mostly British Film Festival runs from February 14th – 21st at the Vogue Theatre in San Francisco. New films from English speaking nations (well sort of) and some golden oldies you would like to see again. BBS Member and author Philip Williams needs help solving what really happened that night of November 16th 1916, when his granduncle Private Alfred Williams was stabbed to death outside the Sussex Arms pub. 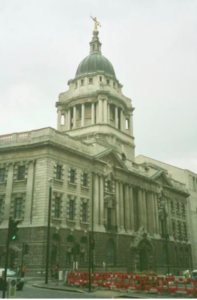 The case and subsequent trial became a media sensation affecting home front morale in the midst of World War One. Join Philip at the Mechanics’ Library and Chess Room, where they will read the sworn statements of the witnesses who were there that night and then try to determine what actually happened and who was telling the whole truth. Brush off your acting and detective skills! If you would like to be a reader at this event please contact Taryn Edwards. A big thank you to Kiosk for supporting the BBS as a Business Partner again in 2019! The COO and CEO have been individual members for many years and generously transitioned to Business Partners in 2018. Thanks to everyone at Kiosk for their continued support. We are thrilled to announce that Withbert (Bert) Payne became a Business Partner in 2019. You w ill have likely seen Bert at all of the BBS events. He has been a longtime supporter of the organization and we welcome this addition to our organization. Business Partnerships are only $500 annually. Memberships directly support our relief efforts, the core of our mission. If you or someone you know is considering joining in this capacity or would like more information, please contact Jenn Baker.